Saints have announced that scrum-half Tom Kessell has left Franklin’s Gardens. Signed from Cornish Pirates in the summer of 2016, Kessell has struggled to nail down a regular place in the Saints first team. In all he made just 22 appearances for Saints in three full seasons at the Gardens, having made his debut against Glasgow Warriors in 2016. 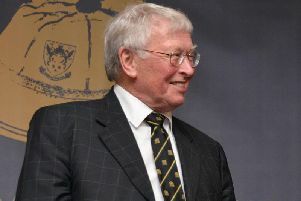 Kessell did play his part in twice helping the Wanderers lift the Premiership Rugby A League trophy, beating Gloucester United and Exeter Braves in consecutive years in the final. “It’s been an absolute privilege to pull on the famous black, green and gold jersey in my three seasons at Saints, but the time has come for me to move on,” said Kessell, who is 28. “Being able to play with this group of guys and make the memories I have has been incredible.